EFT is Purification for ﻿﻿the﻿﻿ mind. It's a way we can pull out the Mind Weeds that are holding us back from ourselves... from our highest potential, from achieving our goals, from attracting beauty into our lives. As we thoroughly clear our minds we learn how to put down what we have been carrying and release the old baggage. This is mind purification, which is an essential component to Thriving health. Just as we wash our hands, face, and teeth daily, we must cleanse and pull out our mind weeds. We must resolve our emotional issues (detox and purify our minds) so they are not a burden on the immune system. It has been demonstrated that a weakened immune response can precede a multitude of health problems, including cancer. Cleaning our minds is equally as important as cleansing and purifying our bodies...if not more so! Based on research showing that emotional trauma contributes greatly to disease, EFT is a simple yet extremely effective tapping technique used to clear and balance the emotional body. Research and clinical trials show that EFT rapidly reduces the emotional impact of memories and incidents that trigger emotional distress. Once the distress is reduced or removed, the body can re-balance itself. Often stubborn physical symptoms that don't go away or keep “re-appearing” have an emotional component that needs to be addressed. EFT Tapping effectively forms the bridge between talk therapies and body therapies. EFT is a simple and powerful therapeutic tool that uses words to tune into an emotional disturbance which is then balanced and cleared using acupressure tapping. EFT is used when emotional stress is hindering your healing. It may be incorporated into a Colon Hydrotherapy or Reflexology session to accelerate healing. Often when the emotional aspect of a disease is cleared, the physical symptoms vanish. Victory over health problems is a decision of the MIND! Shanti has completed her Level 2 EFT training with Michele Hart under the AAMET (Association for the Advancement of Meridian Energy Techniques) guidelines. EFT sessions are $40/hour. However, this technique is often incorporated into other sessions. "A negative thought can kill you faster than a bad germ." Physical pain and disease are intricately connected to negative emotions and ALL negative emotions are felt as a disruption of the body's energy. 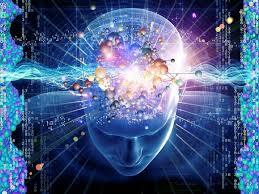 This energetic disruption is a mind weed. Health problems or “dis-ease” create feedback – physical symptoms cause emotional distress, and unresolved emotional problems manifest themselves through physical symptoms. 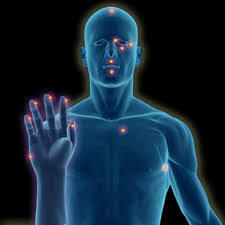 With EFT we are treating the whole person. The body, like everything in the universe, is composed of energy. Restore balance to the body's energy, and you will mend the negative emotions and physical symptoms that stem from the energy disruption. Tapping restores the body's energy balance, and negative emotions are conquered. The basic technique is Tapping on meridian points – while concentrating on, accepting and resolving the negative emotion – which will access your body's energy, restoring it to a balanced state. In some ways, Tapping is similar to acupuncture. Like Tapping, acupuncture achieves healing through stimulating the body's meridians and energy flow. However, unlike Tapping, acupuncture involves needles! Tapping is simple and painless. It can be learned by anyone. And you can apply it to yourself, whenever you want, wherever you are. Most importantly, it gives you the power to heal yourself, putting control over your destiny back into your own hands. In recent years, there's been a growing pool of undeniable research that proves what millions of people the world over have known for some time now: that EFT produces real, lasting breakthroughs and significantly improves or even eliminates conditions that hospital treatments, medication and years of psychotherapy often fail to adequately deal with. The results are surprisingly quick and generally lasting. Strong emotions such as fear, anger, shame and sadness dissolve into clear thinking, enabling a fresh view and the ability to move forwards and get on with life. EFT is a simple and empowering technique that can be used together with a therapist/coach or by yourself for self help. This simple tool for emotional self help was developed in the early nineties by Gary Craig, a personal performance coach with a fascination for the human potential, a clear spiritual calling, a background in business and a university education in engineering. Derived initially from Thought Field Therapy, EFT uses a unified approach that does not require diagnosis. As we explore EFT for ourselves, we become empowered to respond to our own emotional states and help ourselves feel better more quickly. With the aid of this simple and natural healing tool, we can discover just how our thoughts, beliefs, and emotions affect our bodies and our lives - and how we can more consciously make the changes we desire.